When you think about commercial fishing in the US, you probably think about walleye pollock, sardines, and menhaden. 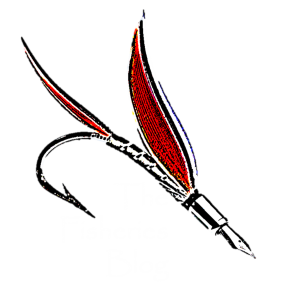 What most of us don’t think about are the commercial fisheries that historically and currently take place in the Great Lakes. In the past several decades over 50 species have been represented in the Great Lakes commercial fisheries landings—although like many fisheries a few species tend to dominate. In order to better understand the commercial fisheries of the Great Lakes, we looked at landings data from 1971–2015 to answer some basic questions about this fishery. Which states have historically or currently report commercial fisheries landings from the Great Lakes? Minnesota, Wisconsin, Illinois, Michigan, Indiana, Ohio, Pennsylvania, and New York have all reported commercial fisheries landings from the Great Lakes. This includes every state that touches a Great Lake! 8 US states historically or currently participate in commercially fishing the Great Lakes. Which state currently reports the most commercial fisheries landings? The state of Michigan currently (as of 2015) reports the highest volume of landings among Great Lakes states. Of the 6 states currently reporting commercial fish landings, what species are the most landed? Lake Whitefish were the dominant species landed in Michigan representing about 66% of all the pounds landed. Lake Whitefish also was the majority fish by weight in Wisconsin. Yellow Perch dominated Ohio and New York landings, with Lake Trout in Pennsylvania and Cisco in Minnesota being the most abundant by weight. Yellow Perch (top) and Lake Whitefish (bottom) are two of the dominant commercial fisheries currently in the Great Lakes. Which lake lands the most fish? Lake Erie easily wins the most fish caught with 5.7 million pounds landed. Lakes Michigan, Superior, and Huron all come in with respectable amounts ranging between 2–4 million pounds. Lake Ontario is a distant 5th with only 47K pounds landed in 2015. Lake Erie, known for many other things beside fish landings, currently (as of 2015) produces the higest volume of landings among the Great Lakes. What were the largest species landings in 1971 (the first year data is available)? In 1971 Carp was the most landed species in Lake Erie and Lake Huron, while Alewife was the vast majority of fish landed in Lake Michigan. White Perch led the landings in Lake Ontario and Chubs were the most landed fish in Lake Superior. A lot has changed! Carp (top) and Alewife (bottom) were two of the most commonly landed commercial species in the Great Lakes nearly 50 years ago. What are some of the less common species reported in the landings? A handful of expected species show up that we know used to have a fishery but no longer do, such as Lake Sturgeon and American Eel. But did you know that Blue Pike (a type of walleye), Goldfish, and Rainbow Smelt have all been historically landed? The Blue Pike (or Blue Walleye) is critically endangered in the Great Lakes, but has shown up in commercial fisheries landings in past decades. There are a lot of interesting landings to look through! Take a look at the data here.